Photos VERY graciously taken by Ginny Furness as a last minute idea -- kudos to her for figuring out my new camera so quickly and getting some nice shots! Thank you, Ginny! 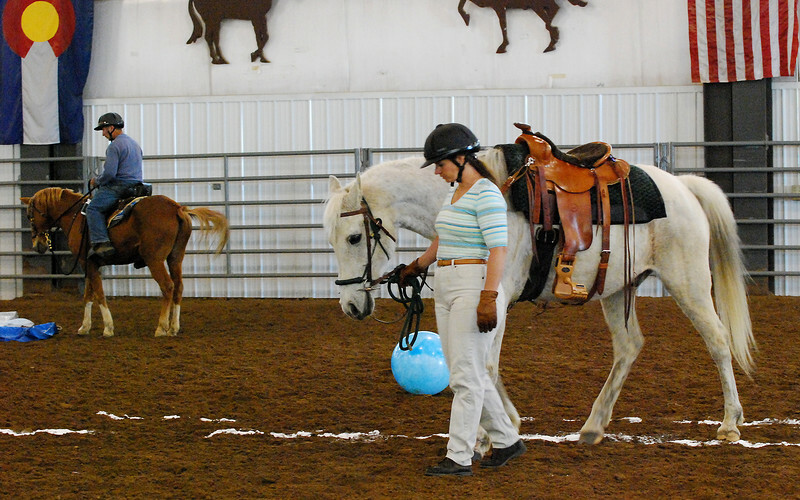 This was a clinic put on by the board members of the Lakewood Riding Club in Colorado, at the Jefferson County Fairgrounds. A great venue, nice and warm on a rather chilly day in May (yes, it snowed at my house that day and the day before too!) All the horses seemed to be under control, and everyone was very pleased with themselves and their horses!